23.48mm x 20.3mm / 0.924in. x 0.799in. 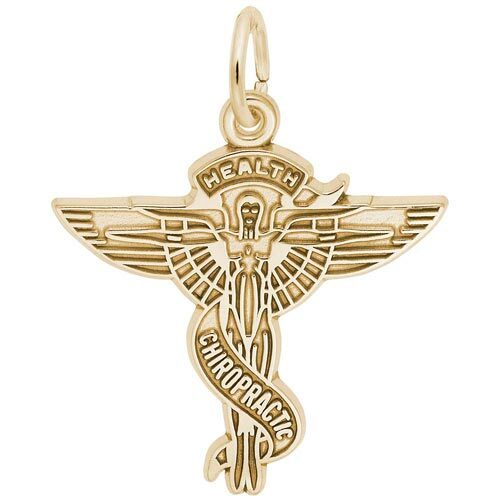 Chiropractors Charm The front of this charm is a symbol for Chiropractors and is embossed at the top with "HEALTH" and the banner toward the legs reads "CHIROPRACTIC". The back of this charm can be engraved.